The Kids Bike Swap is made possible only by the work of our amazing volunteers. Join us for a repair party every Tuesday night through June 7. All mechanical abilities are welcome. A willingness to learn and get greasy is all you need. Drop-in for an hour or two during a repair party, or anytime during open hours. 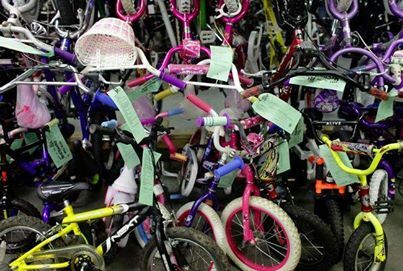 We also need donations of gently-used kids bikes for the Kids Bike Swap. Check your garage, talk to some neighbors, post on social media – then bring your donations by any time we are open. 4-9 p.m. Tuesdays at the bike shop, 2531 Broadway, Everett, WA. Entrance at the back.